1. Renaissance Jewellery Ltd is a 10 rupee face value Diamond Cutting & Jewellery & Precious Metals company. BSE Code: 532923 | NSE Code: RJL | ISIN: INE722H01016 | SECTOR: -Diamond Cutting & Jewellery & Precious Metals. Short Brief of Company Business: - Renaissance Jewellery Ltd. conducts this business along with its subsidiaries Renaissance Jewelry NY Inc. and Verigold Jewellery UK Ltd. It is also involved in furniture retailing through its step down subsidiary - Housefull International Ltd. (www.housefull.co.in). The manufacturing is spread over six state-of-the-art manufacturing sites – five in Mumbai and one in Bhavnagar, totally covering an area of over 160,000 sq. ft. that comply with international quality standards. The fully integrated operations continue to be technology friendly, assisting in consistent product quality. Best-in-class design and development coupled with the unprecedented scale of business allow the company to swiftly adapt to changing requirements and remain competitive business. It includes design, manufacturing, and sales of jewelry in gold, silver, platinum, studded with polished diamonds, semi-precious and precious stones over a myriad product portfolio as rings, earrings, pendants, bracelets, necklaces, bangles, money clips, tie pins, cuff links, etc. The company's expertise straddles across all categories of studded jewellery namely Diamond Fashion, Diamond Bridal as well as Gemstone Jewellery. Broadly, operations encompass product development and manufacturing (in the required quality, karatage, and packing) based on orders received from customers (retailers and wholesalers). The Strong market acumen of the overseas market (especially USA) with a definite pulse on the changing demands and aesthetics make the company one of the top 3 jewellery exporters from India. 2. Year high of Renaissance Jewellery Ltd is 164 and year low is 109 currently stock traded at 140.15, Year high/ low ratio 164/109 is below 2 ,If you read my research terms or read my book "The Winning Theory In Stock Market" then you may know that generally, I like a stock which year high/low ratio is below 2 but if stock recently give a positive result then this ratio is acceptable till 2.5 . Renaissance Jewellery provides excellent results in Dec 16 quarter where net profit increase near 90% , You may see Dec 16 results here; - Click Here To Download Result. 3. Promoters of Renaissance Jewellery Ltd hold 75 %stocks So good promoters holding with nil pledged stocks. 5. The base price of Renaissance Jewellery Ltd is 95.66 So Stock is traded almost 46% above from base price. I remember that In my first book where on page 26 I told you that "If a stock has just crossed its base price in upside and traded 10-20 % higher from the base price, then I think the buying price is a value buy,"
7. Renaissance Jewellery Ltd net sale per share of FY 15-16 is 599.03. 8. Net sale per share 599.03 is higher from CMP. This higher net sale per share increase fundamental target price of the company, so we easily ignore base price point. 9. The book value of Renaissance Jewellery Ltd is 241.82 Book value is higher then CMP, So Renaissance Jewellery Ltd is a value buy at CMP. 8. Finally, We can buy Renaissance Jewellery Ltd for a target of 280+, So do not worry if on Monday this stock open at a higher price due to double price target we may buy it till 200 level. 9. 200 DMA of Renaissance Jewellery Ltd is 133.07 So at CMP 140.15 this stock recently crossed his 200 DMA and closed above 5% from 200 DMA. 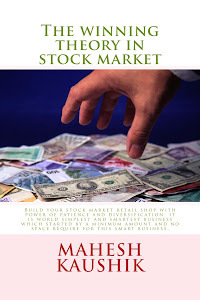 I knew some of my followers still not buy and read my 2nd book but If you read my both book then you no need to wait for my free advice you can able to select these type of stocks by your own knowledge, which is my main motto. 10. Fundamental target price of Renaissance Jewellery Ltd is 280.95( Read above book to learn how to calculate the fundamental target price of any stock.) So this high target 280+ is the reason why I ignore base price point in this research report but if any market fall stock available in the range of 100-120 then this price is the best price for maximum gain. 12. Disclaimer: - This is not an advisory service to buy or sell. The contents of “this research report” are only for educational purposes. No liability is accepted for any content in “this research report”. The author is neither a registered stockbroker nor a registered advisor and does not give investment advice. His comments are an expression of opinion only and should not be construed in any manner whatsoever as recommendations to buy or sell a stock, option, future, bond, commodity, index or any other financial instrument at any time.The author recommends that you consult with a qualified investment advisor, one licensed by appropriate regulatory agencies in your legal jurisdiction, before making any investment decisions. Please read the full disclaimer at the bottom of my blog. 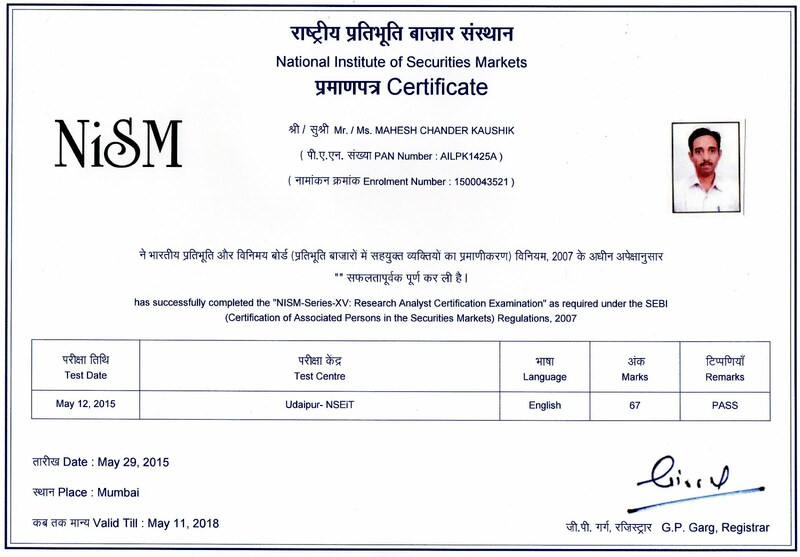 13.Discloser: - I Mahesh Chander Kaushik author of this research report is an existing research analyst and passed NISM certification for research analysts. I am also registered with SEBI(RESEARCH ANALYSTS) REGULATIONS, 2014 ( SEBI Registration Number INH 100000908 ) hereby disclose about my financial interest in the subject company and the nature of such financial interest:- 1 Me and my associates or relatives have not held any share of Renaissance Jewellery Ltd so my personal interest is not included in this stock. 2. Me and my associates or relatives have not any actual/beneficial ownership of one percent or more securities of the subject company ( Renaissance Jewellery Ltd). 3. Me and my associates or relatives have not any other material conflict of interest at the time of publication of the research report. 4. Me and my associates or relatives have not received any type of compensation from the subject company(Renaissance Jewellery Ltd) in the past twelve months. 5. I am not served as an officer, director or employee of the subject company ( Renaissance Jewellery Ltd). 6. 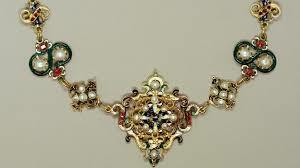 I have been not engaged in market making activity for the subject company (Renaissance Jewellery Ltd).